Photonic Devices' precision Galilean beam expanders have been sold globally for over 20 years and include an extensive number of standard models. These multi-element beam expanders have been computer-designed to provide excellent wavefront quality with minimum beam deformation. All lens elements are air spaced and the majority of models have variable air spacing for collimation adjustment. All lens surfaces have multilayer antireflection coatings, with power handling capabilities over 1kW (> 200W for beam expanders operating at 10.6 microns). The 18x Expander (1064 nm) is a new product offered as of January 2011. The 16-GBE18-18x-1064 is specifically designed to expand small diameter collimated-output beams (1 mm or less) from isolator-coupled fiber lasers. 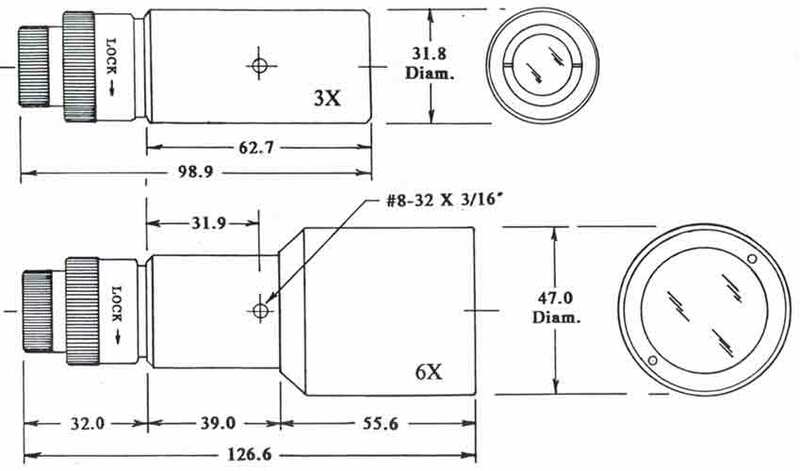 A miniature 1.5X pre-expander (0.67X if attached in the reverse direction) may be added to most models to extend the range of magnification.